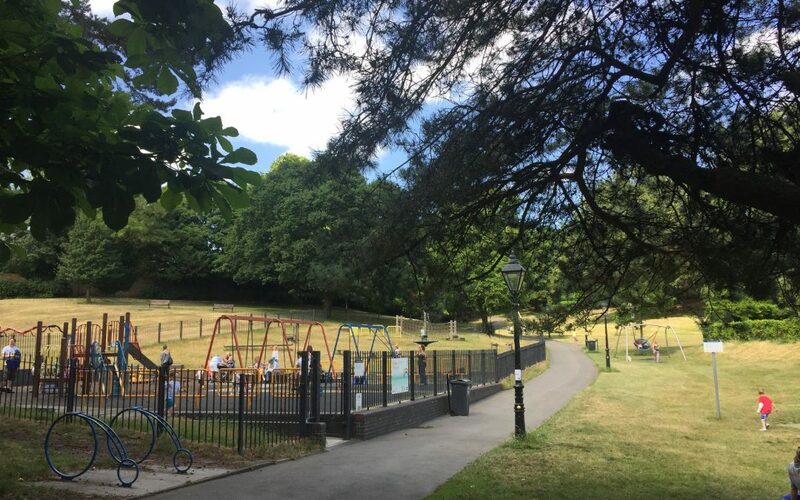 Alexandra Park in Penn Hill had a greatly exciting 2018, with the launch of a capital project and the consultation process of this running alongside, whilst a lot of green space improvements were made as well as the opening of the Cafe at the Pavilion! We want to continue this positive progress in to, and through, 2019. Some great news to kick this year off with, is that the park has recently been awarded a small portion of the CIL Neighbourhood Portion bids. The small fund aims to add in some new bird and bat boxes to the park, increase tree coverage as well as general green planting. In 2019, alongside this extra funding, the play delivery of the capital project for the park will also be completed. This intends to completely rejuvenate the equipped play area of the park, refreshing key elements of it and adding whole new elements of play. This is whilst general green space improvements are continued to be made including looking at the three main entrances and how they can be continually improved to welcome more and more visitors to the park. All this forms a base for a couple of other key elements we are looking to grow in to 2019, one of these being the role the pavilion plays in the park. At the end of 2018 a local resident took over the running of a cafe within the pavilion which has already been growing and serves a wonderful range of tea, coffee and snacks. We are hoping to work alongside the tenant of the cafe to help build new community elements and space in to the pavilion, as well as the park generally. Which links to our other key area of development, that being volunteering within Alexandra Park. We are hoping to work alongside the new Alexandra Park Community Group to help run a variety of different volunteer activities in the park, the key first activities being planting up the Palmerston Road entrance using funding from the CIL bid. From here we would like run ever more activities in the park, from volunteer exercise to gardening and general maintenance sessions. All in all, 2019 looks to be another exciting year for Alexandra Park!